We had our first snow! It was very nice packing snow and we made snowmen. They were about 5 inches tall. The eyes are M&Ms and the nose is candy corn. 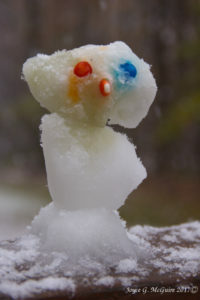 When we were done we took out the candy and wrecked our snowmen with snowballs. 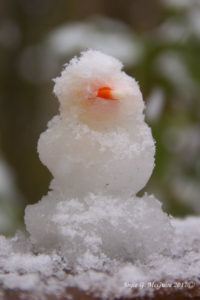 I hope it snows soon so we can make more snowmen and have a snowball fight! Well what a treat! Enjoy the winter!